Live Learn Shine On: Cushion Couture + Kylie At Home = New Shop! Whoop!!! Launching tomorrow, April 14th in Manchester Arndale Centre!! 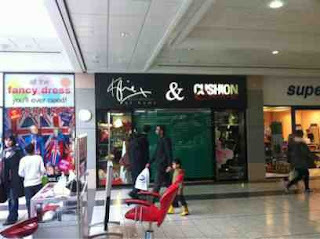 Cushion Couture is launching their new Kylie at Home Store in Manchester Arndale Centre, located on the upper mall (opposite Argos). They will be launching on Saturday 14th April from 9am. Showcasing the latest designer brands in home fashion with a fabulous range of Designer Bedding, Cushions, Rugs, Soft Furnishings, Furniture and more. 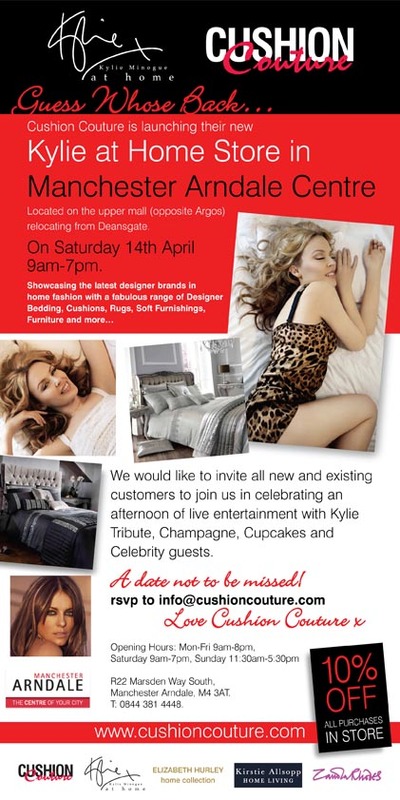 Cushion Couture would like to invite all new and existing customers to join them in celebrating an afternoon of live entertainment with Kylie Tribute, Champagne, Cupcakes and Celebrity guests.